Ashanti Tertiary Awards is a program designed to honour and celebrate Ashanti Tertiary Students who have contributed to the growth and development of education, arts, entertainment, fashion, lifestyle, music, and media across the region. 1. It is aimed at Awarding and Cerebrating Ashanti Tertiary Students: This means all Ashanti Tertiary Students are eligible to participate. 2. 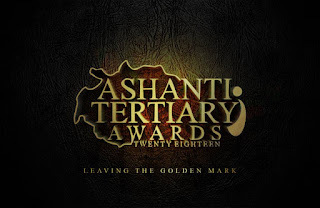 20 Award Categories: Ashanti Tertiary Awards consists of 20 categories which covers fields like achievement, arts, fashion, media, entertainment, and music. NOTE: Award Categories will be unveiled on 9th March, 2018. 3. There will be a workshop for all participants: The workshop will be under the auspices of professionals, celebrities, and other dignitaries who are experts in all selected categories. 4. 'Book Projects' will be undertaken through Ashanti Tertiary Awards program: This project will provide books to less privileged schools across the country. 5. Our various platforms: A large percentage of all campaign and publicity will be hosted on Ashanti Tertiary Awards social media pages so kindly take note.